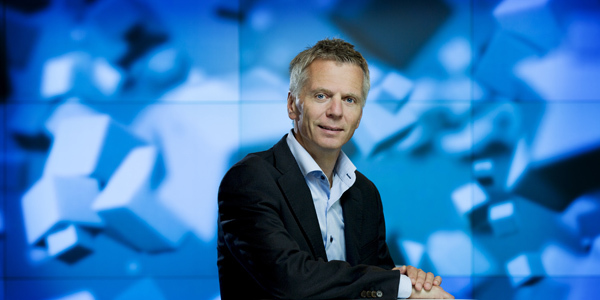 Ragnar Kårhus, currently CEO of Telenor Broadcast is appointed new CFO of Schibsted ASA. He will take over for Trond Berger, who has decided to exercise his early retirement option September 1. 2019, after 20 years in the position. Ragnar Kårhus (55) has broad experience from various positions in Telenor and other Norwegian companies. He has been in his current position since 2014, and was before that Senior Vice President in Telenor Group Industrial Development. He joined Telenor in 2000 and has held the position as Chief Financial Officer (CFO) in several Telenor companies and deputy CEO of the Nordic region. From 2007 to 2011, he served as CEO of Telenor Norway. Kårhus holds a Master of Business Administration from BI, the Norwegian School of Management. “I am very happy to announce that Ragnar Kårhus has accepted to take on the role as CFO of Schibsted. His background as CEO and CFO from various areas of Telenor makes him very well qualified for the position. He has gained experience from managing big technological transitions and also having a complete commercial responsibility of large businesses with good results. I have worked with Ragnar previously and know him as hard-working, capable, diligent and results-oriented,” CEO of Schibsted Kristin Skogen Lund says. “Schibsted has a long and proud history with an impressive record on both developing its existing businesses and exploring new and adjacent opportunities within a rapidly changing environment, resulting in substantial value creation to its shareholders over time. I am really excited about the opportunity to contribute together with Kristin, her team and employees to continue this value creation journey in an exciting time for our industry,” Ragnar Kårhus says. Trond Berger (61), will stay close to Schibsted even after 1 September 2019, working part-time with Group projects. “The media industry has changed tremendously during my time in Schibsted, and it has been a pleasure to be part of one of the most exciting success stories in this industry. We have experienced a tremendous value creation for shareholders in the period, and we have been able to develop and reinvent our brands and products to the benefit of consumers and society. Schibsted is now moving into yet another phase, after the demerger of Adevinta, and for me this is a natural time to step down. At the same time, I am looking forward to the coming months, contributing full force to the group, until Ragnar comes on board,” Trond Berger says. “Even though Trond will stay in his position until Ragnar is in place in five months’ time, I would already now take the opportunity to underscore the vast contribution Trond has made to Schibsted’s success over a long period of time. A sharp mind, focus on the real value drivers and a deep dedication and passion for Schibsted’s various businesses are Trond’s trademarks. I am grateful that he will stay with us for some months also after Ragnar comes on board to ensure a good transition,” Kristin Skogen Lund says. Trond Berger has an individual pension plan which mainly entitles him to an early retirement pension from the age of 62, which he reaches in June 2019.